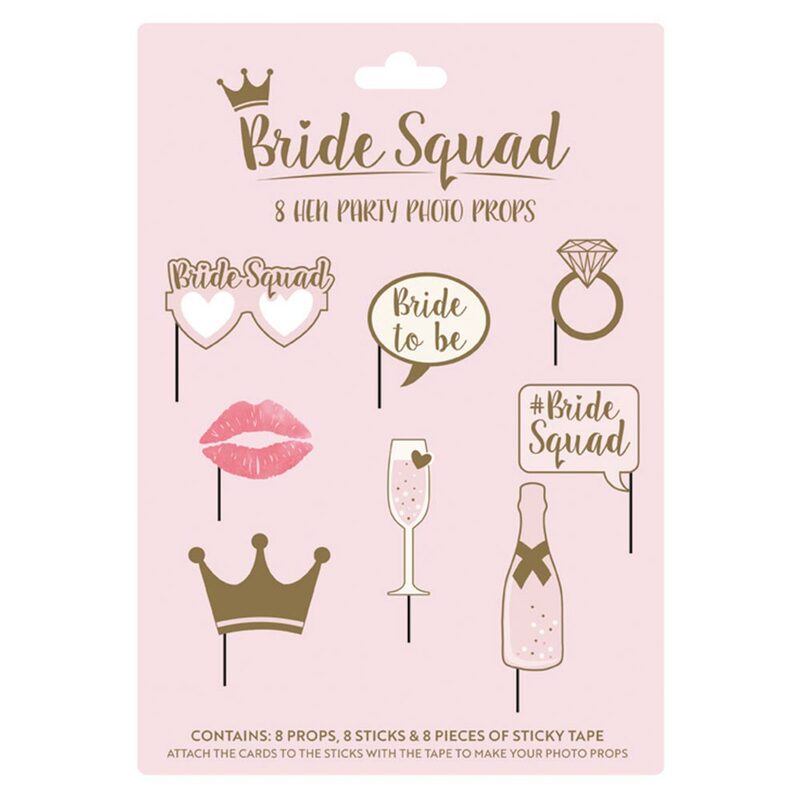 These Bride Squad photo props are a fantastic way to make sure your group gets some truly memorable photo's on the hen night. 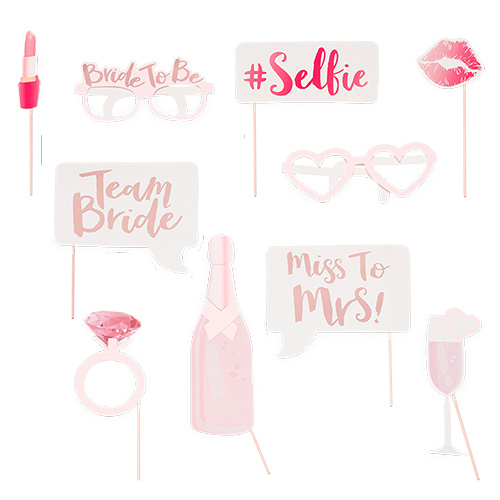 Designs include a crown, lips, bubbly bottle, champagne glass, diamond ring, bride squad glasses and two speech bubbles, one with Bride to Be writing and one with Bride Squad. 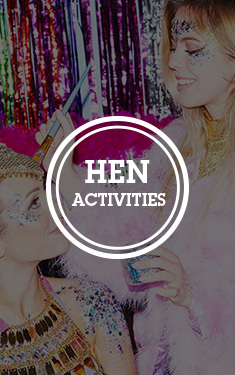 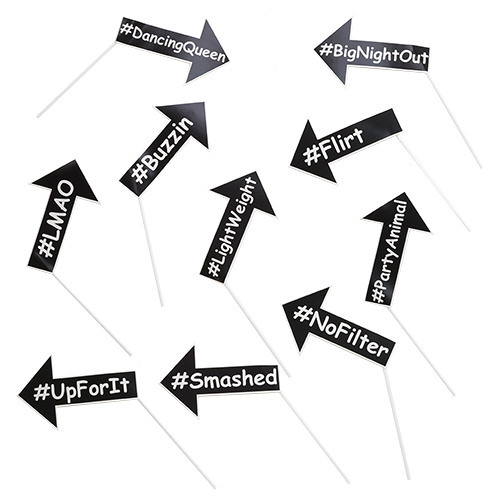 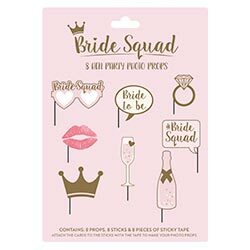 Included in the pack are 8 stick and 8 stickers too so you can attach each prop to a stick, this is a great value addition to your hen night and as part of the bride squad collection these are part of a great theme.